Ah, Mario Kart Wii. Otherwise known as “the great destroyer of friendships”, this loveable classic holds many memories with our family and friends. And while we’d all like to forget the negative experiences (i.e. Getting hit with a blue shell) and remember the positive ones (i.e. Hitting someone with your blue shell), this Nintendo release of the Mario Kart franchise has a special place in all our hearts. While it has been a few years since its release, the upcoming release of Mario Kart 8 has me wanting to replay it once more. There’s no real story for the Kart series, unless you count the ones created when playing with others. But just for the record, I strongly believe it’s ludicrous that anyone would even consider allowing Bowser and co. attend the races (what with all the kidnapping and the like), but hey, it doesn’t really matter. I’m sure we all still loved passing big old Bow’ right before passing the finish line. MKWii is not only one of my favourite party games, but also one of the few racing games I tolerate. I’ve never been a fan of racing games, or most sporting-type games for that matter, but with memorable characters and hours worth of fun, how could you possibly hate it? Good or bad – no matter how you are with racing games, players cannot deny the fun in competing with each other and the sheer joy in unleashing the arsenal of traps at their disposal. How quickly do the eyes of the player coming first drain when they realise a red – or even better, a blue shell – is coming straight at them? Apparently very slow if you’re the one who sent it. It’s without saying that Mario Kart Wii is a fresh new take on the Kart series whilst still providing the same formula that players love and enjoy. Its variety of characters, vehicles (which include motorbikes!) and mix of both nostalgic and brand-new tracks makes it an all out winner as a racing game and a staple for any Wii owner. The added multiplayer option, as well as the range of game types gives this game a worthy level of replay value, as well as making it perfect for a get together with players of all skill types. In all its cartoony, loveable glory – this game does not disappoint. The visuals of it are just what you would expect of Nintendo’s Wii- the game is a treasure trove of polished tracks and picturesque characters that create an visually exciting world. Even the game’s vehicle are up to its visual standards, as are the traps that are obtainable and the effects that accompany them. Aside from that, any one who’s ever played a single game before sure could recognise the distinct sounds from playing. From the character cries to the sounds of wheels drifting, and from the crash of a blue shell to the three beeps before a race, Mario Kart Wii is ripe with cute sound effects that fit perfectly in its setting. Even better though, but also overlooked, is the soundtrack of the game. The music of the game just makes it for me, and I do admit I’m a sucker for great compositions. Racing tracks are equipped with wonderful tunes that make it all that more enjoyable – even if you don’t realise it. 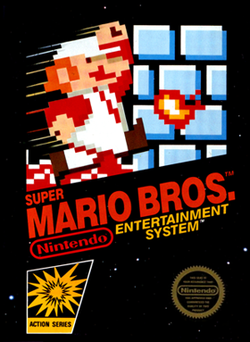 Personally, I recall the tantrums, arguments and mind numbing screams that were part of playing this game. But even more so than that are the good times playing this along my friends. The first time I held the Wii Wheel is actually very memorable and while I no longer own my original one, I still think back to the first few rounds I played with it. 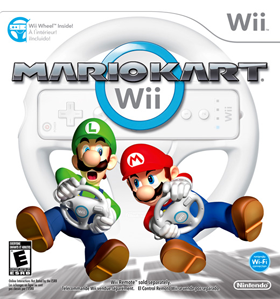 Mario Kart Wii is sure to be a classic for many players worldwide so if you have it alongside the no longer used games, why not have one more round? See if you can escape that blue shell this time.